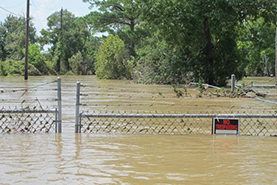 Tell TX environmental agency: Texas Deserves Better Toxic Waste Cleanup! The benchmarks Texas uses for its pollution cleanup programs are significantly worse than those in other states. Pollution benchmarks are important because they are a major factor in determining whether a toxic site is cleaned up and how much pollution we leave behind after cleanup. Learn all the details in TCE Fund's new report Missing the Mark, and read a summary from the Texas Tribune. See our latest info about the impacts with our interactive "No Further Action" map here. Because of our weak benchmarks a site declared in need of "No Futher Action" could still be as polluted as a Superfund site in another state. Also, Texas lets people build homes on sites Louisiana and Mississippi might consider too polluted for factories. Tell our state environmental agency, the TCEQ, to do their job and protect us from dangerous pollution from toxic waste sites. Tell them that we want protections just as strong as in Oklahoma and Arkansas—Texas deserves nothing less! Take action now to tell state environmental officials to protect our health and improve toxic waste pollution benchmarks. Texas deserves better benchmarks for cleaning up polluted sites. Ours now leave dangerous pollutants that can cause cancer or birth defects in place at levels other states consider dangerous--we need to strengthen state Protective Concentration Levels to ensure that they actually protect our health and the environment. Please take all necessary actions to rectify this problem before more disasters make this problem even more dangerous.